The Mozart Concertos, including Rondo KV 371 and the fragment KV 494a with the Münchner Rundfunkorchester conducted by Hermann Baumann. 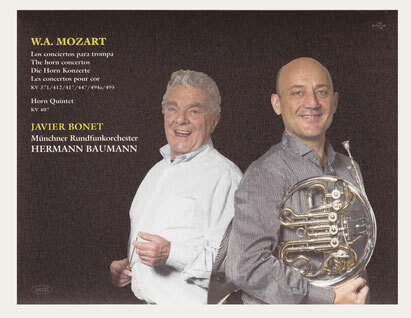 In addition you will hear the Mozart Horn Quintet KV407. One of the most interesting new recordings of the Mozart horn concertos in recent times.